This collection of hard-to-find short stories written at the beginning of Duncan's career in the early 1950s transports readers to another era, one in which marrying one's high school sweetheart was the norm, young men entered military service in droves, and the chief concern of most young girls was finding the right man with whom to settle down. The cadence and vocabulary evoke the period. “Written in the Stars” features a girl realizing with shock that her high school beau isn't “The One” as they drift apart once he starts college. In “Return” shell-shocked young veteran Bill struggles with readjusting to life back home from the front. “April” deals with the intense sibling rivalry between intelligent, but plain Martha Dunning and her glamorous older sister April, who appears to coast by on her good looks. In “Time to Find Out” Janie stands up for herself and delays marriage with her military-bound boyfriend. Close-knit families with warm and supportive brother/sister relationships which echo the author's own family are featured in most of the stories. Each entry is appended with a note from Duncan on where each piece was originally published, her inspiration for it, and what was happening in her life at that time. 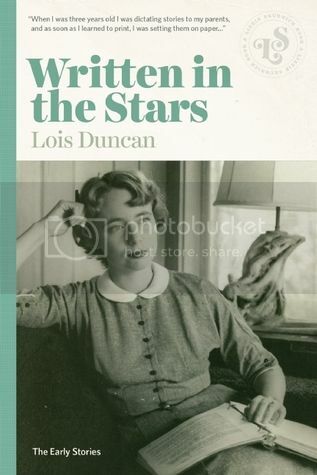 Perfect for Lois Duncan completists, this collection of short stories may spark interesting conversations with teens about how gender roles have changed over the years.